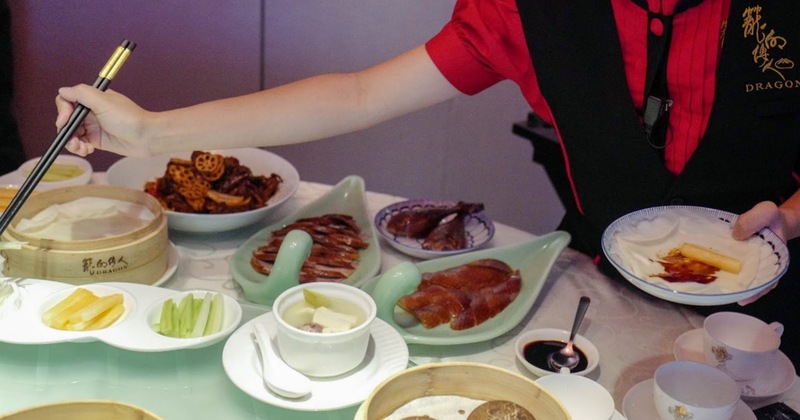 Dragon-i Peking Duck aims to make this a dish that customers can enjoy anytime, without needing to wait for a celebratory occasion. 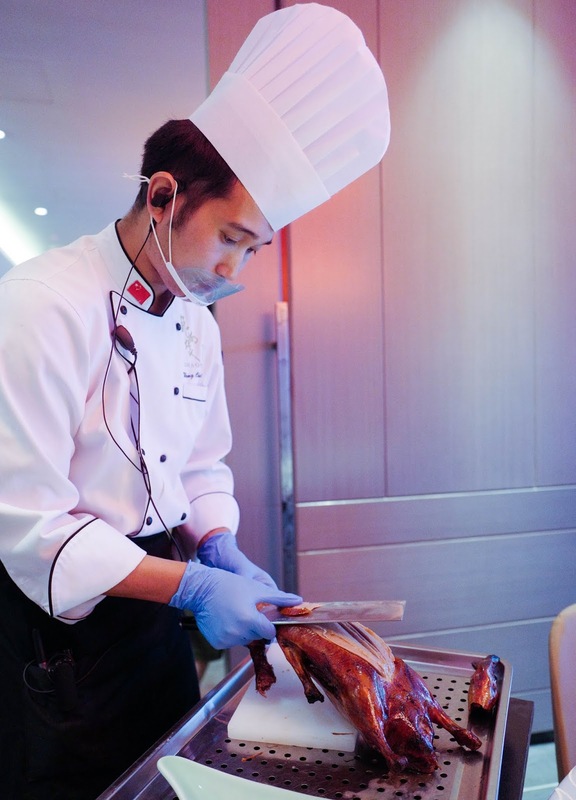 The Peking Duck can be ordered as a Two-Course Meal, comprising a half duck for RM105 (suitable for up to two persons), or a Three-Course Meal that showcases a whole duck for RM158 (for up to four persons). 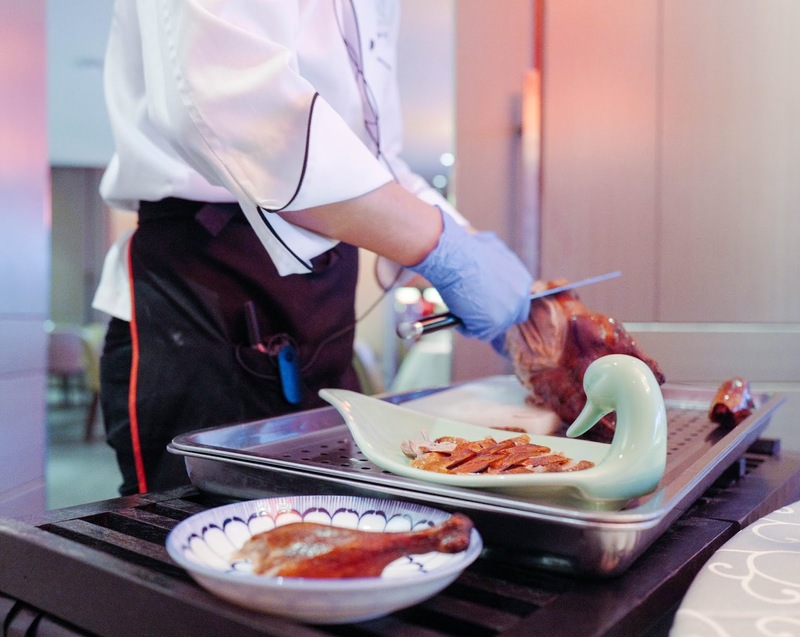 For the first course, the duck is carved up within minutes in that familiar fashion (watch the chef display his skills with the blade! 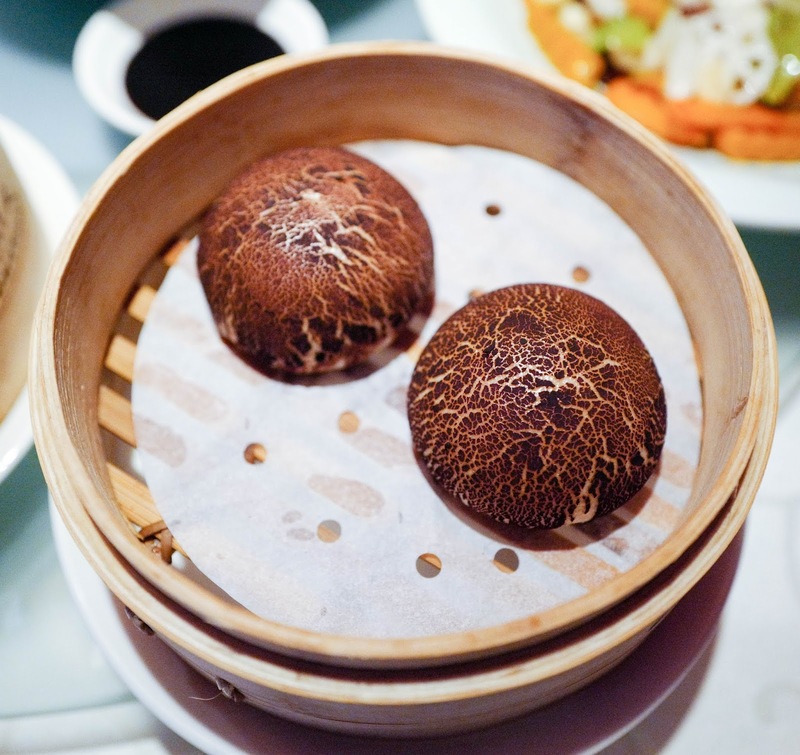 ), to be consumed in pancakes wrapped up with spring onions, honey melon, cucumber and house-made sauce. 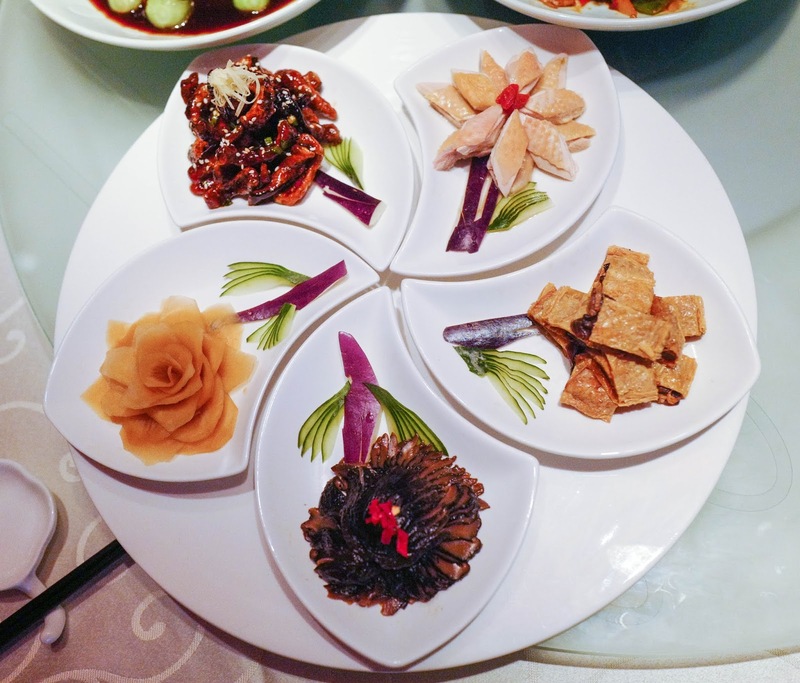 Stuff each piece precisely to your preference - perhaps with more skin and meat and less cucumber, or exactly how you like it. 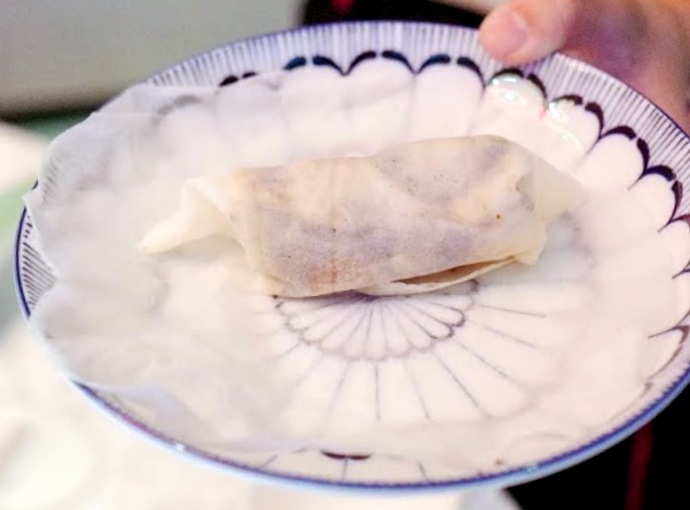 You'll experience that inimitable medley of crunch and succulence, coupled with bursts of salty and sweet sensations, guaranteed to get you reaching back to make one more roll, and then another. 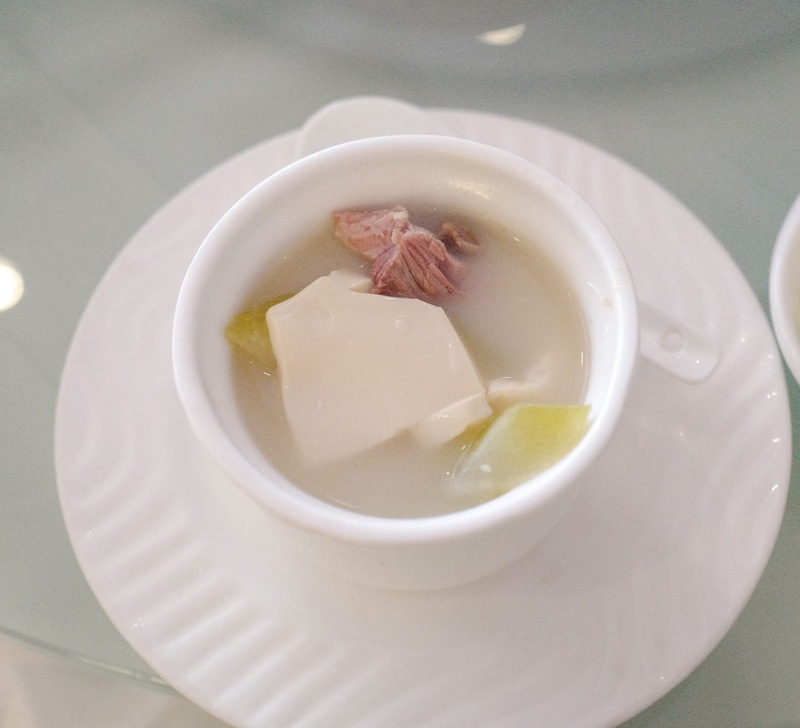 The second course is a comforting Duck Bone Soup with Soft Bean Curd, beautifully blending the deep flavours of the duck with the light nuances of bean curd for a soulful soup that patrons of all ages and generations will relish. 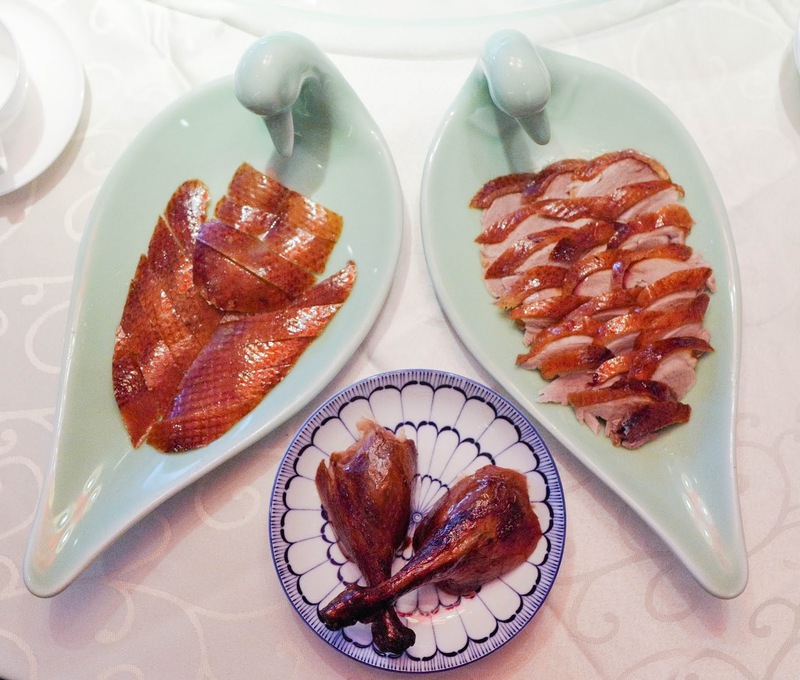 Customers can choose from an intriguing variety of duck dishes for the third course: Deep-fried Duck's Bone with Salt and Pepper, Stir-fried Duck's Bone in Hunan Style, Braised Rice Noodle with Black Truffle and Shredded Duck Meat, or Stir-fried Shredded Duck Meat with Vegetarian Shark's Fin. 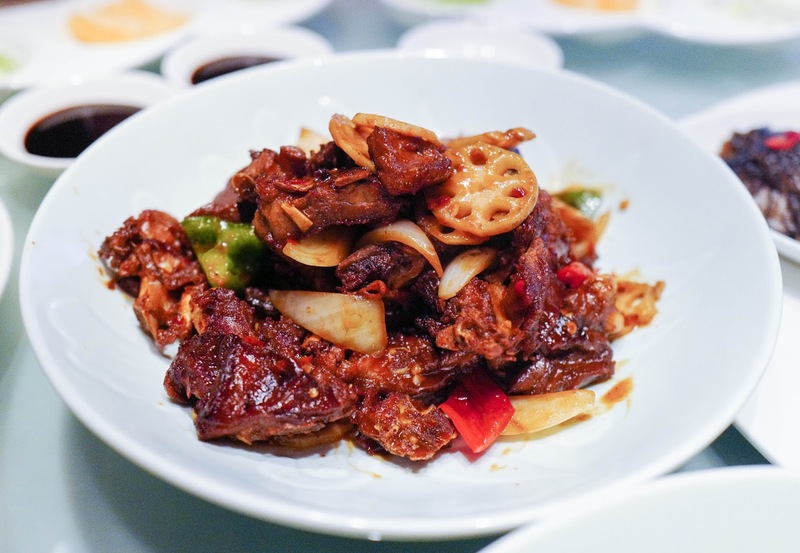 We opted for the Stir-Fried Duck Bones, Hunan-style, tossed with lotus roots and vibrant peppers, packing a lovely level of heat and saucy aroma. 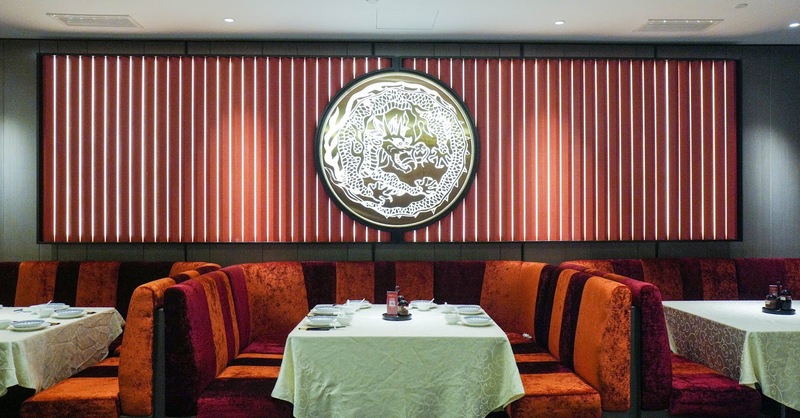 For guests who appreciate a sense of extra intimacy while indulging in this meal, Dragon-i Peking Duck's private rooms are worth considering, spacious enough to hold a small gathering of family or friends. 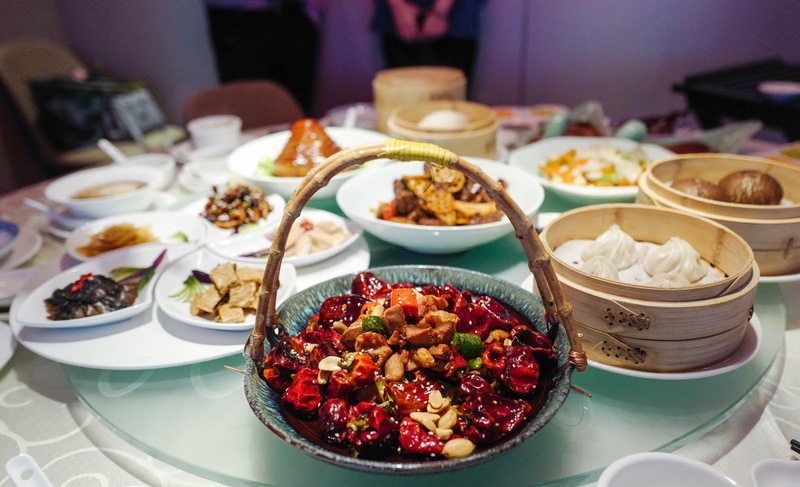 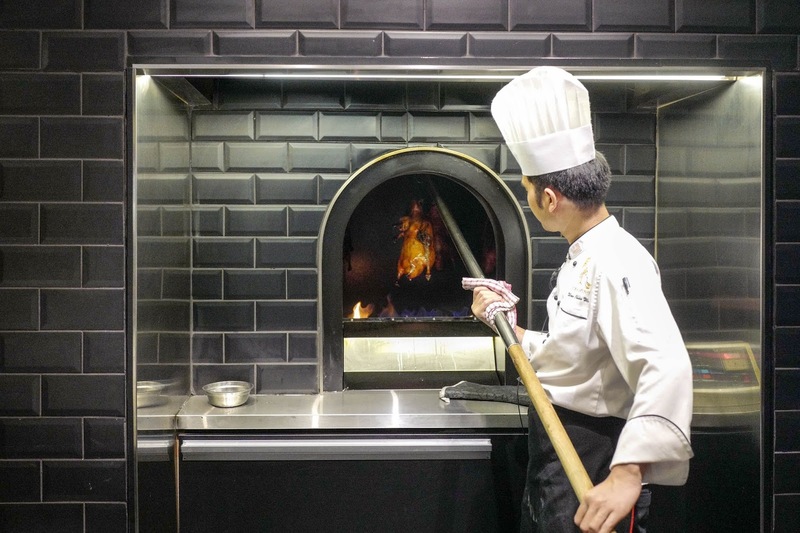 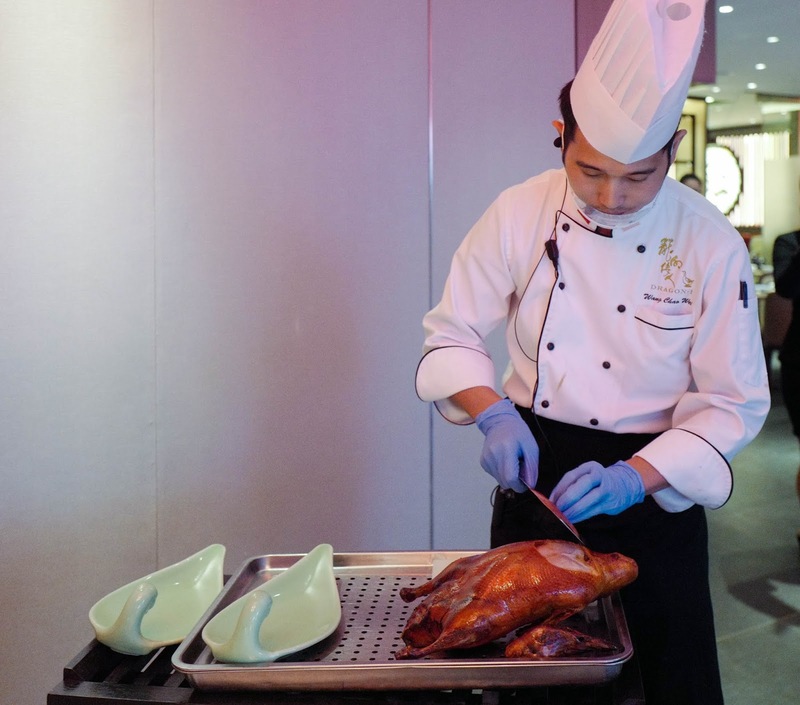 While the Peking Duck forms a complete meal on its own, the refurbished restaurant also promises a bevy of extraordinary Shanghainese and Huaiyang specialities to explore. 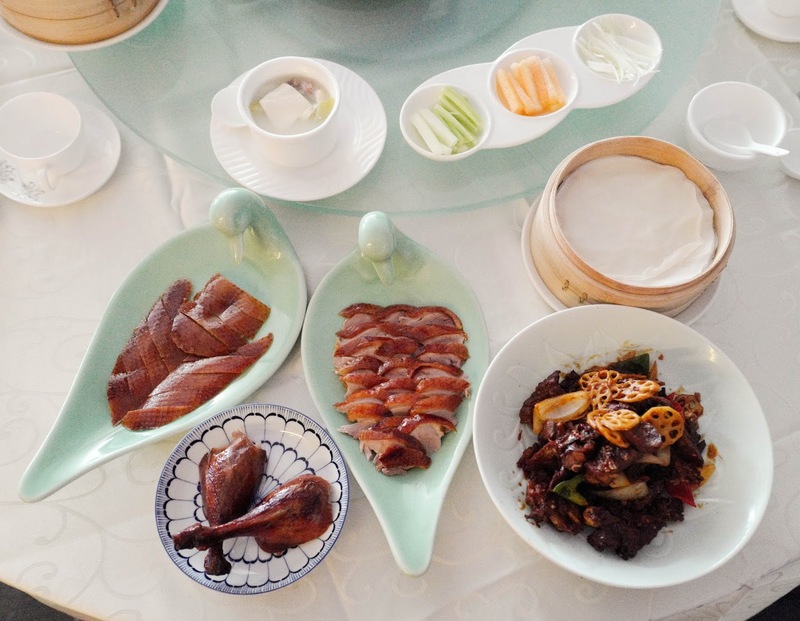 Sample the Signature Appetiser Platter (RM83) for cherished traditional classics that have stood the test of time: Chilled Chicken with "Hua Diao" Rice Wine; Stewed Mushrooms; Pickled Radish; Deep-Fried Vegetarian Bean Curd Skin Roll; and Crispy Caramelised Eel; then slurp on another standout, the Double-Boiled Hydrangea Bean Curd with Sea Cucumber and Matsutake (RM38) - this delicate superior soup conveys an impressive intricacy, as the bean curd is stunningly sliced into 2,800 (!!!) 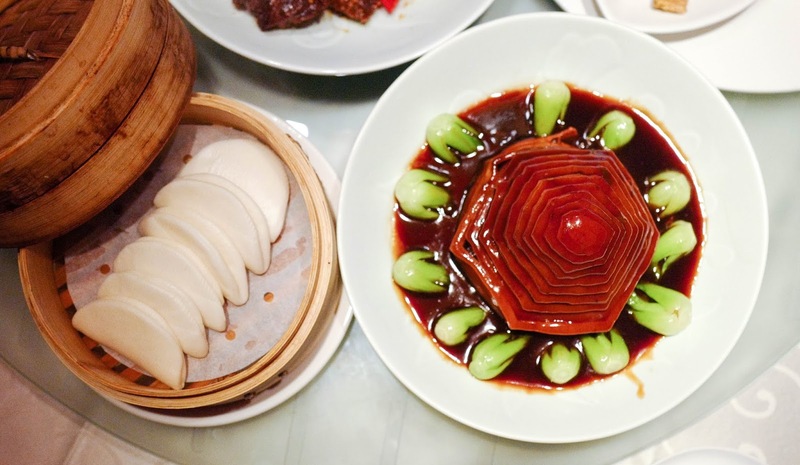 extremely thin shreds, shaped into a chrysanthemum flower form that'll earn everyone's total admiration. 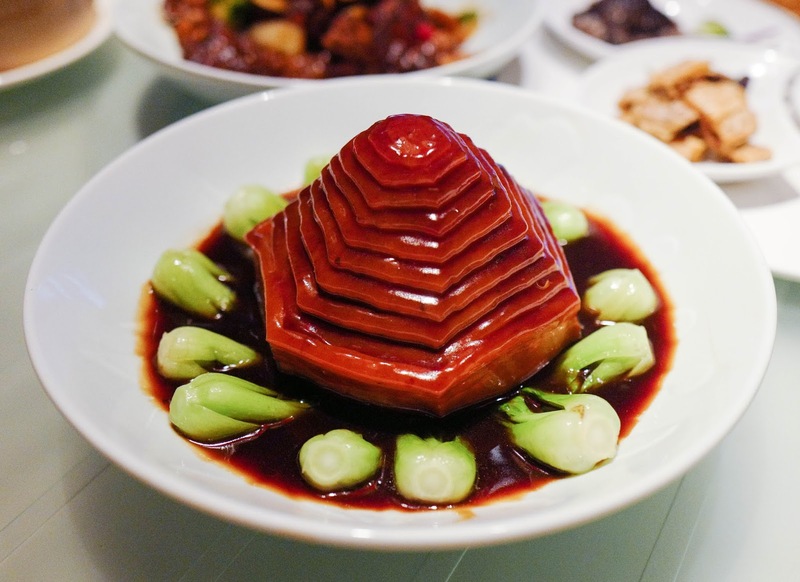 The Braised Pork Belly with Steamed Buns (RM88) is also supremely striking in its glistening glory, a compellingly crafted pyramid of pork, layered with smoothly braised belly meat - it's another fine representative of the restaurant's commitment to detailed creations that both look and taste remarkable. 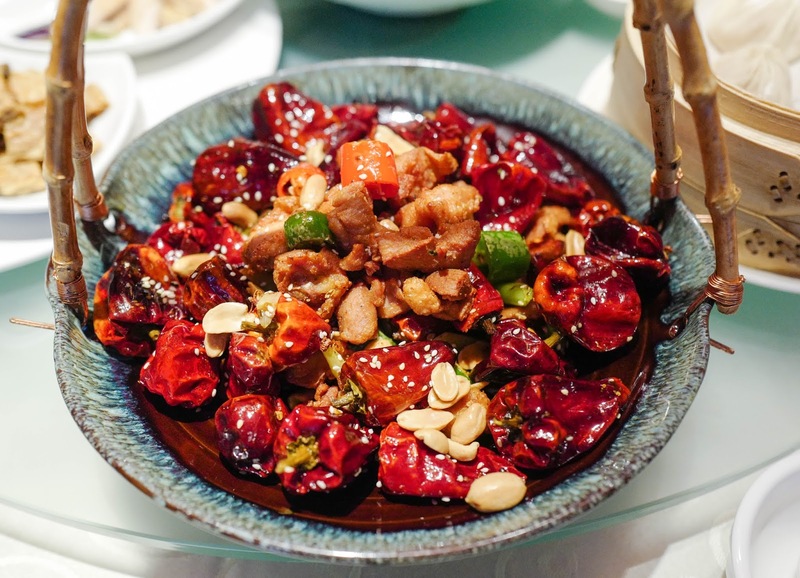 The Sautéed Diced Chicken with Dried Flower Chillies in Szechuan Style (RM38) spices thing up with an explosion of fieriness, courtesy of the stinging chillies; balance that out with the Sautéed Mixed Vegetables (RM25), satisfyingly fresh and capably executed. 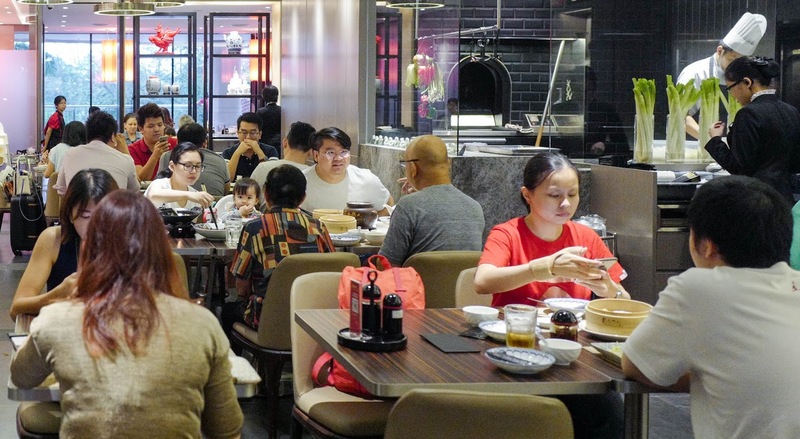 Dragon-i has become a household name for Chinese cuisine in Malaysia since 2004, and it remains a dependable destination even after all these years. 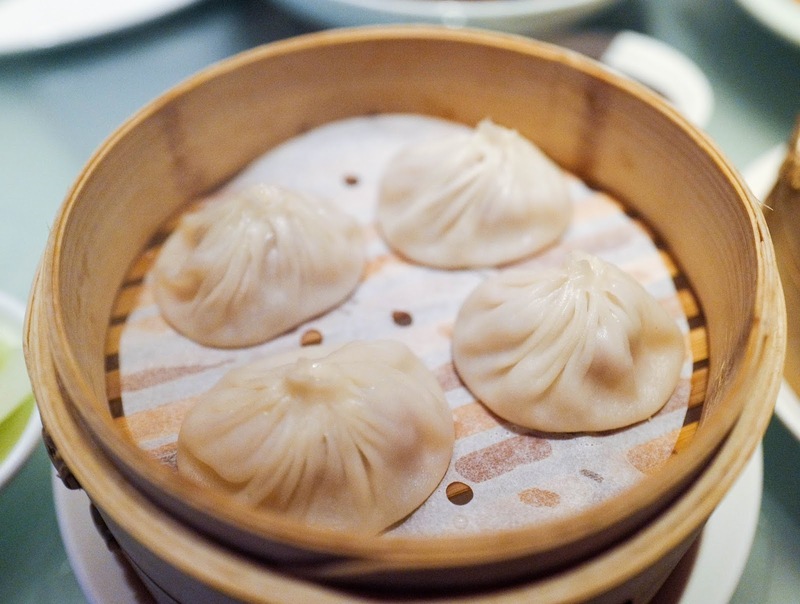 Don't leave without your dose of the perpetual crowd favourite of Shanghainese Steamed Meat Dumplings, the ideal illustration of Xiao Long Bao (RM12), as well as the latest concoction that brings our duck-adoring meal full circle, Steamed Black Pepper Shredded Duck Meat Buns, mysteriously crafted to look like mushrooms but concealing a tasty filling of duck flesh (RM12). 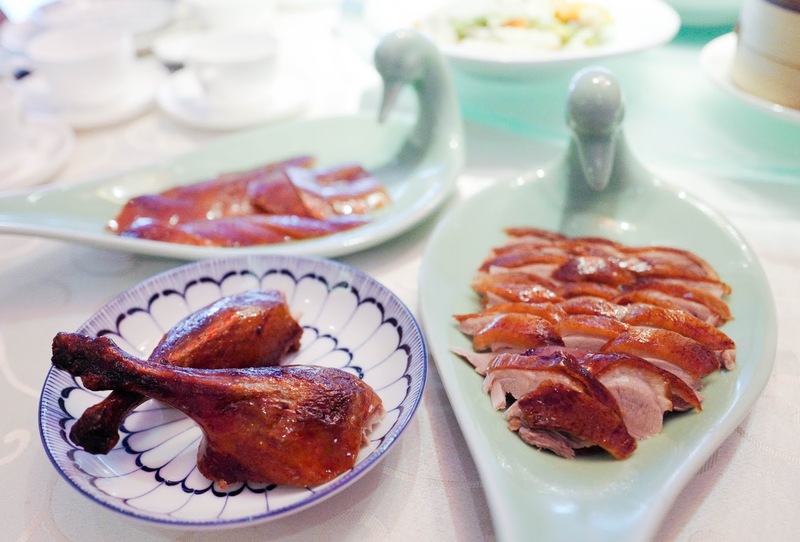 Many thanks to Dragon-i Peking Duck for a lunch to remember. 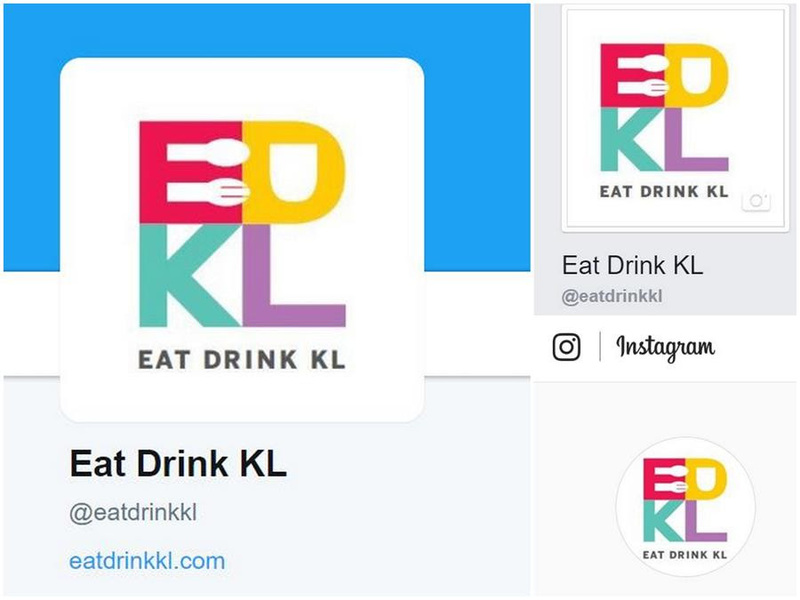 Lot S313A, 2nd Floor, New Wing, 1 Utama, Lebuh Bandar Utama, Bandar Utama, 47800 Petaling Jaya, Selangor. 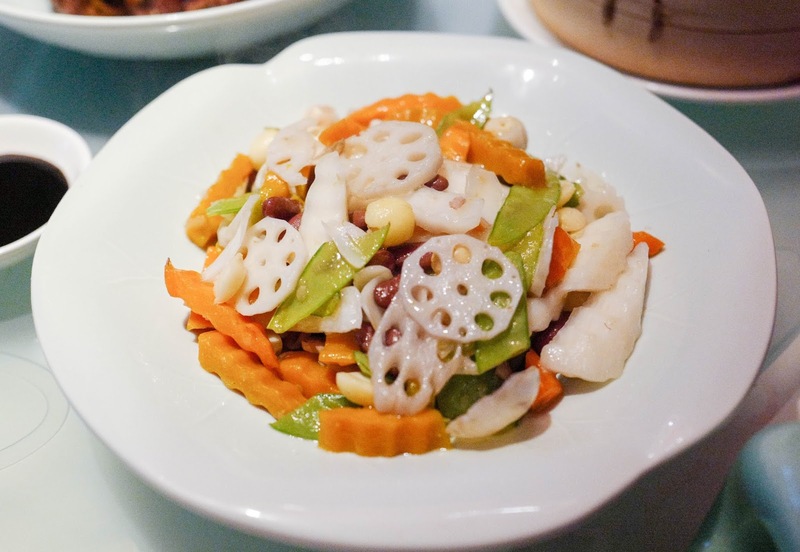 I'm amazed by the delicate cutting skill for that hydrangea bean curd! 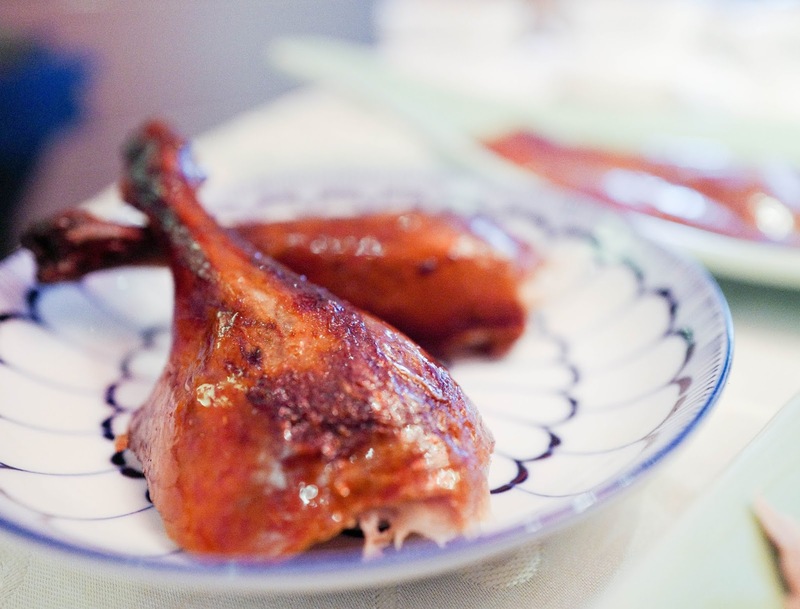 Ooooo...I love Peking Duck! 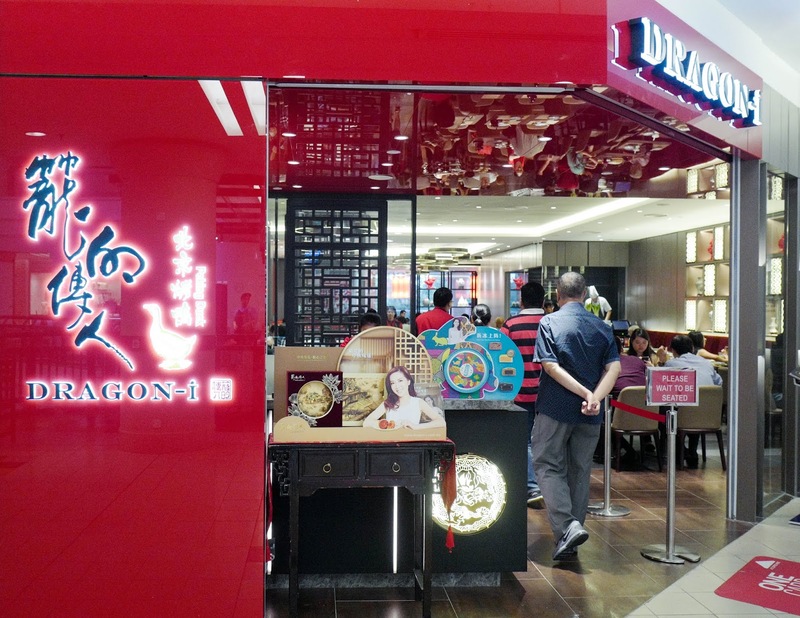 There is Dragon-i at Mid Valley but it is along that passage way to the hotel - I never went there as I did not fancy the endless stream of people walking past, looking at you and what you were eating...like people looking at animals in the zoo. 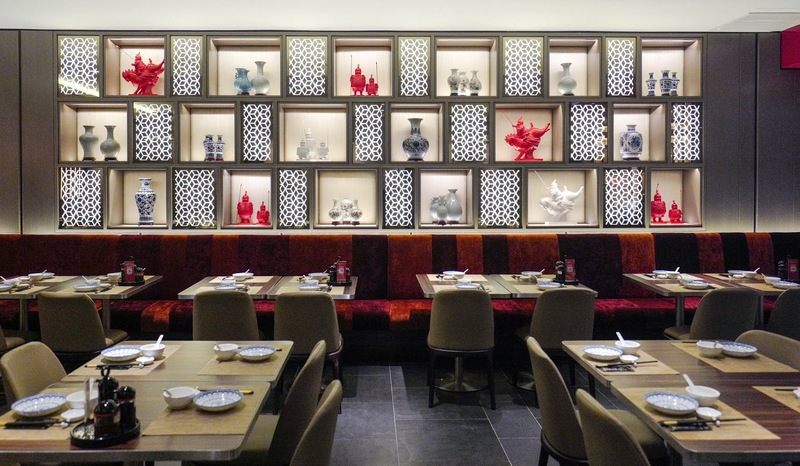 Rather awkward location - they could have some thin curtains, actually. 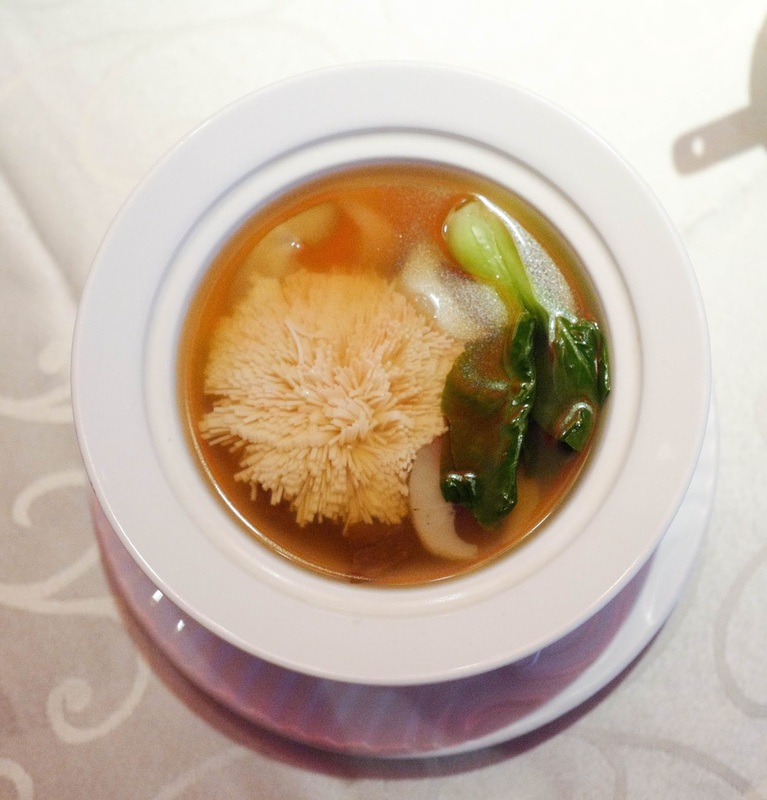 Lace would be nice, elegant.